Dan Mannix currently serves as the CEO of CSM North America. 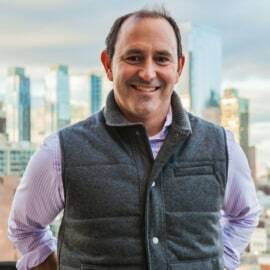 Previously, he was the President & CEO of LeadDog Marketing Group, now known as CSM LeadDog, an integrated sports and entertainment marketing agency based in New York City. Dan founded LeadDog 18 years ago, growing it into a global agency of 200+ make-it-happen, passionate people. LeadDog joined the CSM Sport & Entertainment’s global family of agencies less than two years ago. CSM North America has developed longstanding relationships creating, marketing, and activating brand experiences for partners such as Netflix, FX, Amazon Prime Video, NBC Universal, HBO, ABC, Oprah, & Oath. The agency is openly collaborative and constantly curious, creating impact by challenging convention showcased in the agency’s work with iconic series, emerging shows and new media, bringing the brand to life beyond the traditional medium. Dan brings more than 20 years of strategic marketing and partnership development for signature brand experiences and extensive work with innovation-led companies. Throughout his time at LeadDog, he helped to oversee and build the agency’s client roster within the media space, working with groups like Meredith, Rodale and The New York Times to build revenue driving platforms. He has also played a key role in launching signature event experiences and initiatives like O, The Oprah Magazine’s 10th anniversary and the launch of Women’s Health Run 10 FEED 10 platform. Dan is a graduate of the University of Richmond and lives in Brooklyn with his amazing wife, Michelle, and energetic son, Jackson.